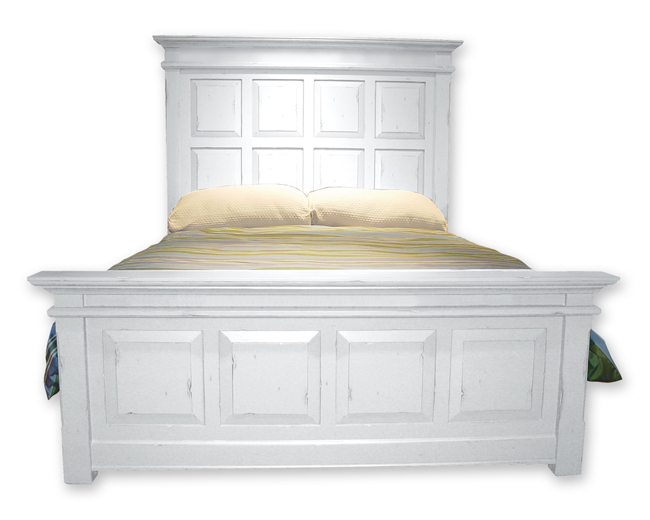 The Chesapeake Panel bed sports a tasteful, contemporary design that will enhance almost any cottage bedroom style. Each piece features colorful finishes that accentuate the natural beauty of the solid Mahogany, emanating warmth while still remaining loyal to its modern design. The collection incorporates handcrafted details into every piece, using tenon joinery to make it durable and reliable for years. Headboard comes with pre-drilled holes. 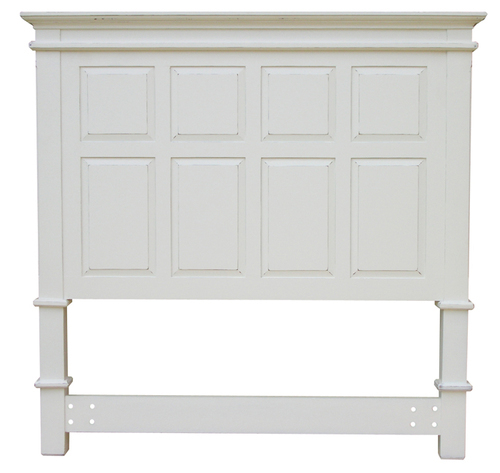 The Chesapeake Dresser Collection is a great complement to this headboard and the latest in our coastal cottage furniture line. This product is custom made from plantation-grown and kiln-dried mahogany, mindi wood, and premium hardwood veneers. Each piece is handmade, hand painted and hand rubbed creating a lightly-distressed appearance. Traditional woodworking techniques like tongue-and-groove and mortise-and-tenon joinery make this an heirloom piece of furniture.